Macau: where old cobbled streets, temples, and Church ruins meet what many call the “Vegas of the East” with its flashing lights, roulette tables, and vast luxury developments. The tiny territory (only 30km² – Hong Kong is 36 times bigger) became a Special Administrative Region of the People’s Republic of China in 1999, and has since then, with the boom of the Asian economies, been a favourite weekend escape and playground for its neighbours. 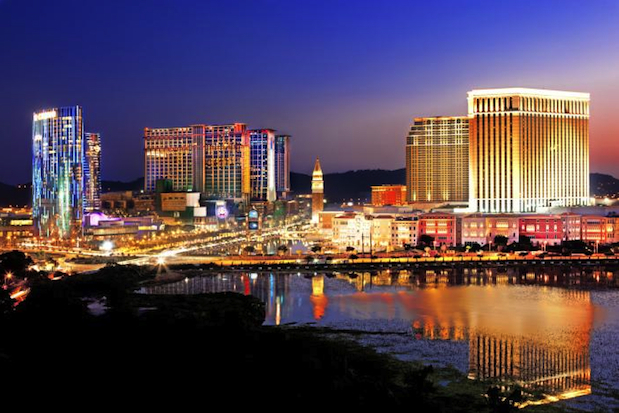 Macau’s peninsula and islands may only contain around 614,500 residents, but since 2006 it has been one of the world’s richest cities generating more revenue from gambling than anywhere else on the planet, making over seven times the income of “The Strip” in Las Vegas. Development in the territory has been at breakneck speed over the last decade, with the newest and most luxurious properties currently at Cotai, a strip of reclaimed land between the former islands of Coloane and Taipa. Here you will find The Venetian, Four Seasons, Sheraton, City of Dreams, and more. It’s easy to get pulled into the pizazz of new Macao with all its high-budget productions and glitzy promenades, but don’t make the mistake of forgoing the remnants of the city’s splendid past. In 2005, The Historic Centre of Macau was inscribed on the UNESCO World Heritage List with its architectural sites carrying over from its past as a Portuguese colony. Most of the historic buildings are within walking distance of each other, so it’s easy to do an overview of this area in a day. Finally, there’s the idyllic side of Macau in the villages of Coloane and Taipa. Here you can find beaches, cycling and hiking trails, colonial-era shops, pastel-coloured houses, and narrow European-style lanes. Just when you thought you’ve experienced all that Macau has to offer, you realize there’s even more to unearth with every trip you take. So get on that ferry (there are lines from Sheung Wan, Kowloon, Hong Kong International Airport, Shenzhen, and more) and live it up (or wind down) in a city belonging both to past and future. I can’t believe that I haven’t made it to Macau yet, having lived in HK for almost a year now! I must visit soon. Thanks for the info! That’s great they speak Portuguese. Hardly anyone really speaks Portuguese but all the signs, official documents, street names, etc are in Portuguese. It’s a bit ridiculous because when you ask a taxi driver to take you to say Rua Direita Carlos Eugenio he won’t know what the f* you’re saying!